So in keeping with out theme, this weeks song is from Rascal Flatts......"Life Is A Highway"
And lewt me tell ya......we have an awesome sponsor and prize this week as well!! 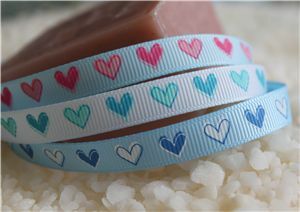 Say hello to Crafty Ribbons!!! You GOTTA chek them out! They have some ADORABLE ribbons and I am just in LOVE with ALL of the Christmas ones!!! Ohh and the one called Shooting Stars too! I'm tellin ya...ABSOLUTE CUTENESS!!!! They have so kindly and generously offered up this adorable package of single hearts ribbons......and you get ALL of the colors!! WOOOT! Oh gosh...how sweet for baby projects!!!! So....if ya want em ya gotta play along! 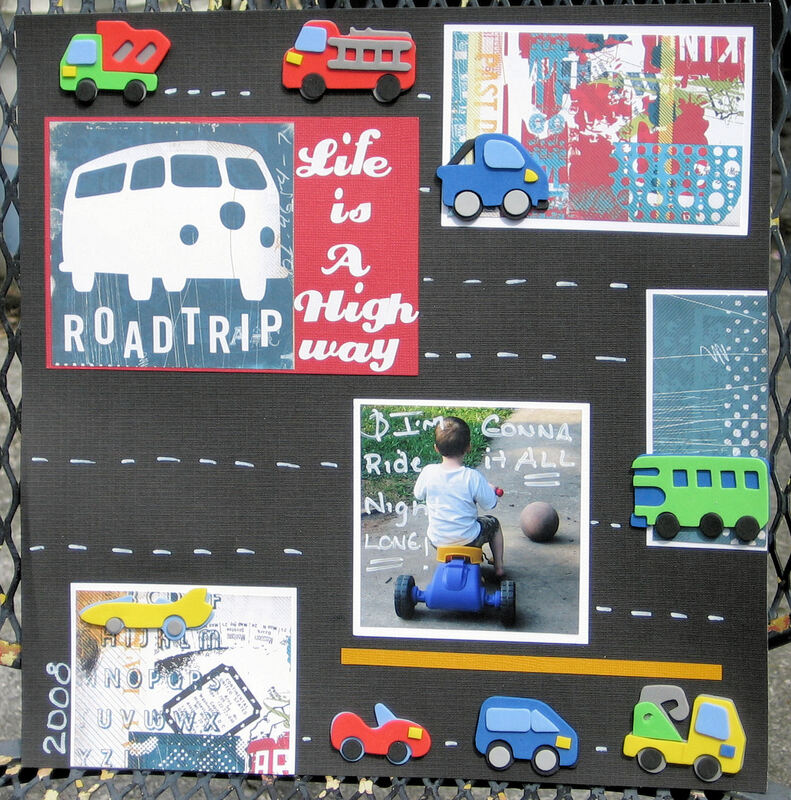 Create a Layout, card or other project inspired by the song. Easy peasy!!! Then just link us up so we can all ohh and ahhh over what you have done! For my project I chose a layout (yeah surprise huh???) and a photo that I have scrapped a billion times now......but it works for this song.....LOL. I used black Coredinations for my base and everything else is just scraps of Cosmo Crickets Get Happy. I really like how the funky colors pop with the black background. All of the little cars are from a package I bought in a clearance bin at CVS of all places......LOL. I KNEW I'd use em someday!!!! And I just took a white paint pen and added the little dashes to give the illusion of a road....kinda crooked but I drive like that too so it's ok......LOL. Oh and the Title is AC Remarks alpha . In addition to this being my DT reveal I gotta be honest and say I also used ScrapJacks September "jack" (aka scraplift) as my inspo......so I am entering it in thier challenge for the month as well. Thanks for looking and let me see whatcha got this week!!! I LOVE your layout!!!!!!!!! The picture, the cars, the highway, it's adorable! Love love love it! The black paper was DEFINITELY the way to go. It just pops!